Our stake Young Men and Young Women leave tomorrow for Trek, and 3 o f my 4 children are going. They are lucky to be some of the few this year who will be going to Martin's Cove. At the dedication of this site, President Hinkley said, "Go in a spirit of reverence and respect, and know that you are walking on hallowed ground." My hope for my children is that they may be touched by the faith of these pioneers and that their own testimonies will grow, and they will carry strength and perseverance back home to be "pioneers" to face the challenges in today's world. In preparation for going on Trek, I needed to make an apron for my daughter, and loved the idea of her carrying the Young Women Values with her as she walked. I used our Good Life panel from the shop and cut out some of the symbols as well as a set of mini values. Each panel contains 8 sets of mini values, and 1 set of the large values. I used the same method to attach them to the apron as described in the Values Banner tutorial. This is a great sewing project for Personal Progress or as a weekly activity as it is all straight stitching and very forgiving of mistakes. Here's a free PDF pattern for your use. Using school glue to secure the pockets instead of pinning is much easier for a beginner, and you won't have to worry about breaking a needle on a pin. Just be sure to use a small dot...not a puddle! About 7 evenly spaced glue dots is all that is needed, and DO NOT glue the top edge. Using Bias Tape for the waistband is also a time saver, and a little easier for a beginner. 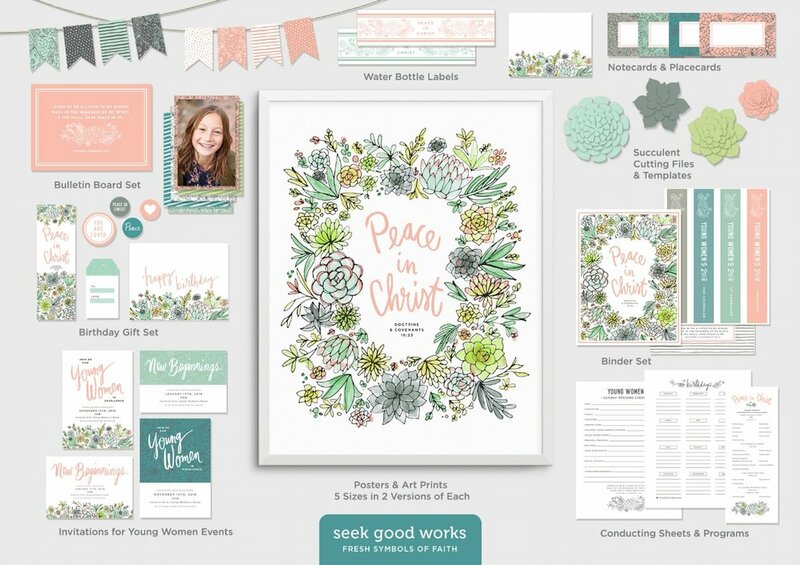 Use these free cutting files to make your Young Women Camp message center. 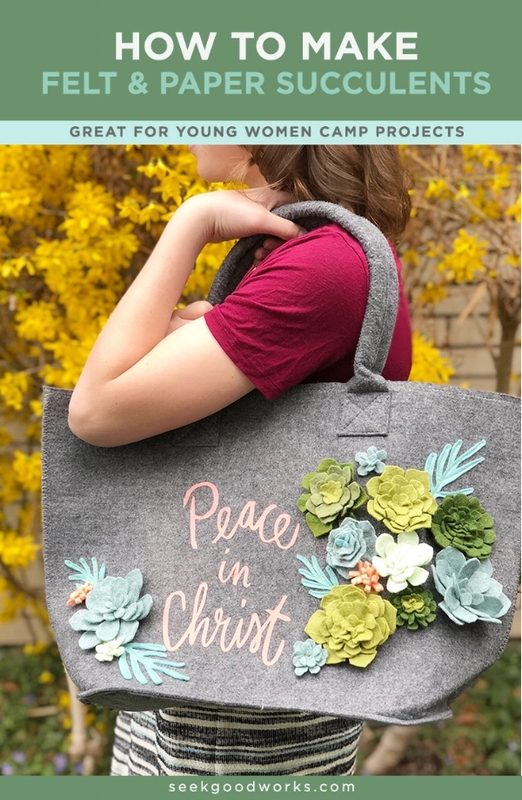 We had so much fun making felt succulents for our Peace in Christ tote bag, that we just had to make some more! This project is quick and easy, AND budget friendly. SOURCES: Small pot in stand was purchased at Joann Fabric, Small clay pot and pea gravel can be purchased at any big box hardware store or local nursery. Begin by placing a styrofoam ball into your clay pot. You may glue it in, or simply set it in (mine fit nicely without gluing). If you prefer using small rocks, simply fill your pot with rocks. Begin adding your succulents to the prepared pot. If you are using the styrofoam ball, it will take about 7-8 medium to small succulents. I LOVE the simplicity of one succulent in the pot with the pebbles... how easy it that!! NOTE: These pots are small, so to keep things in scale, I made my succulents small too. I did not use the largest pattern pieces of each of my succulent templates, and for most, I only used the three smallest pattern pieces. You DO want a variety of sizes to make it realistic looking. To secure the felt succulents to the styrofoam ball, simply push a straight pin through the center of the succulent and into the styrofoam. To secure the succulents into the pebbles, take a short piece of skewer and hot glue it to the back of the succulent. holding it upright until the glue has hardened, then gently wiggle the succulent and skewer down into the pebbles. NOTE: In the original tutorial I suggest sewing the individual felt pieces together, either with a sewing machine or by hand with needle and thread. You can hot glue each piece together, HOWEVER, it will be almost impossible to stick a straight pin through that much hardened hot glue, so if you choose to use hot glue, I would hot glue each succulent to the styrofoam ball. There are many online tutorials for decoupage...but all that is needed is to tear paper into small pieces, coat each with glue and stick to the pot until it has been covered, and let dry. 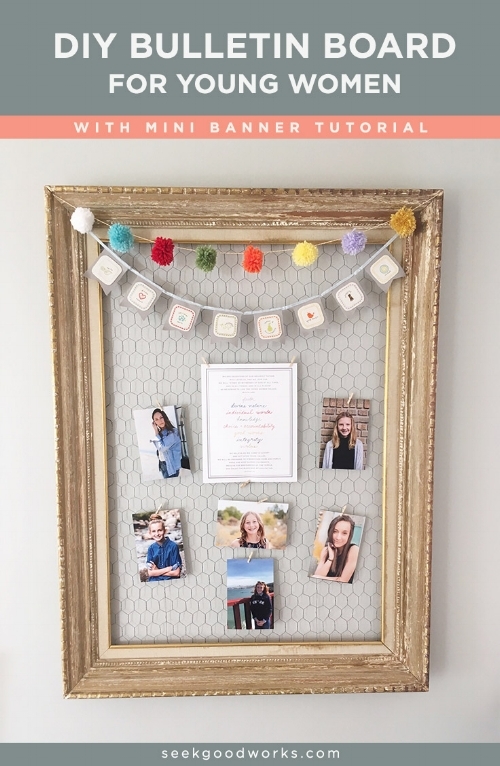 We love this idea for a quick and easy way to create a bulletin board that can be used in your Young Women's classroom, at camp, or for special events like New Beginnings or Young Women in Excellence. First, find a great frame, your local thrift store is a great place to start. Don't worry if it has an ugly painting in it...we are going to remove it! I lucked out and found the perfect shabby chic vintage frame, but if all you find are plain-jane brown frames, choose a happy shade of spray paint and paint your frame! If you decide to paint your frame, be sure to remove the painting and glass first. Then let it dry for at least a few hours or a day before moving to the next step. You will need chicken wire for the backing. This can be purchased at any big box hardware store. Cut a length at least 8" - 12" longer than the frame's center measurement (an old pair of scissors should be able to cut the wire if you do not have tin snips or wire cutters). Center the chicken wire over the center of the frame, and using a staple gun, begin stapling the wire every 5". I stapled the top edge first, then the bottom edge, being sure to stretch the wire tight (this step is helpful to have an extra set of hands). Then I stapled the left side and then the right side, stretching the wire as I went. Once it is securely stapled, carefully trim the excess wire from around all the edges. That's it, you are done! 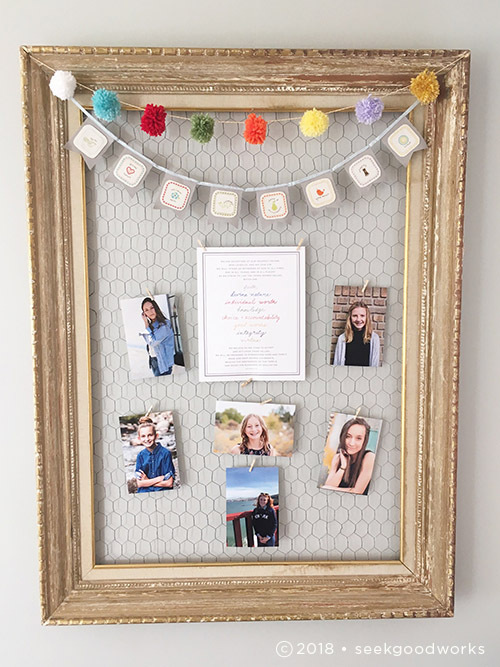 The beauty of this bulletin board is that you can change it often based on your needs, and it can be hung on your wall or placed on an easel for a special event. 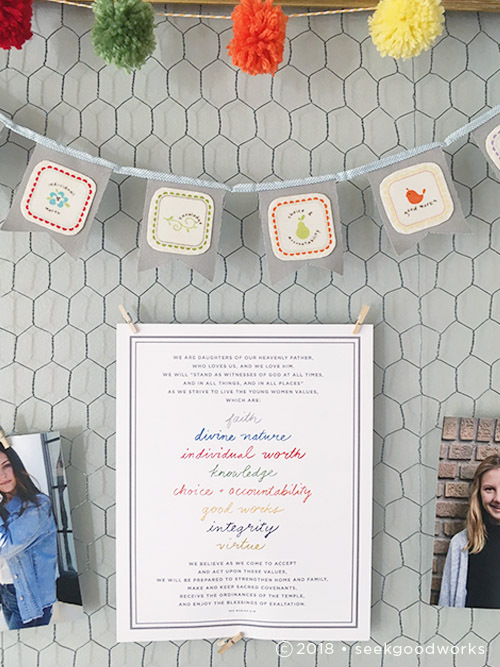 We chose to adorn our bulletin board with our own Young Women Theme poster, our MIni Values banner (see tutorial here), and adorable pom poms in the value colors! 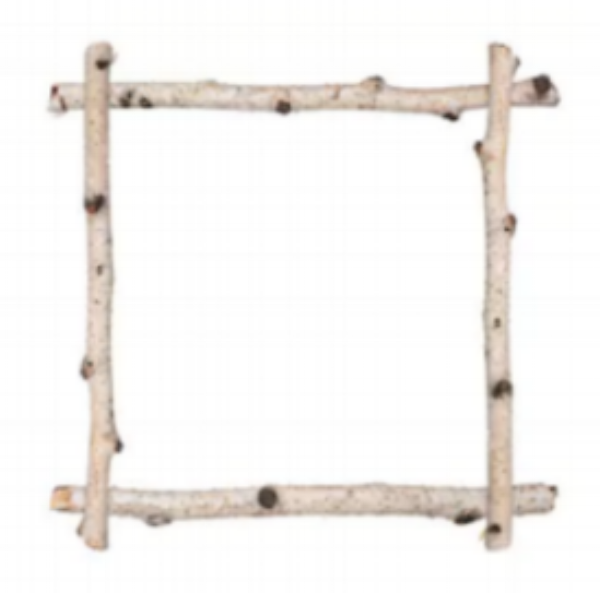 I love the idea of using twigs instead of a frame if it is going to be used at camp....how cute would this be! Stay tuned, a tutorial on making pom poms is coming soon! Make your own Young Women value banner for camp or your Young Women room this year. Great to hang between the trees or on a bulletin board. Learn how to edit customizable pdf files using acrobat reader. How to use Heat Transfer Vinyl - Featuring "Don't Forget Your PJ'S"
Remember to PRAY, write in your JOURNAL, and read your SCRIPTURES with these printables and projects. 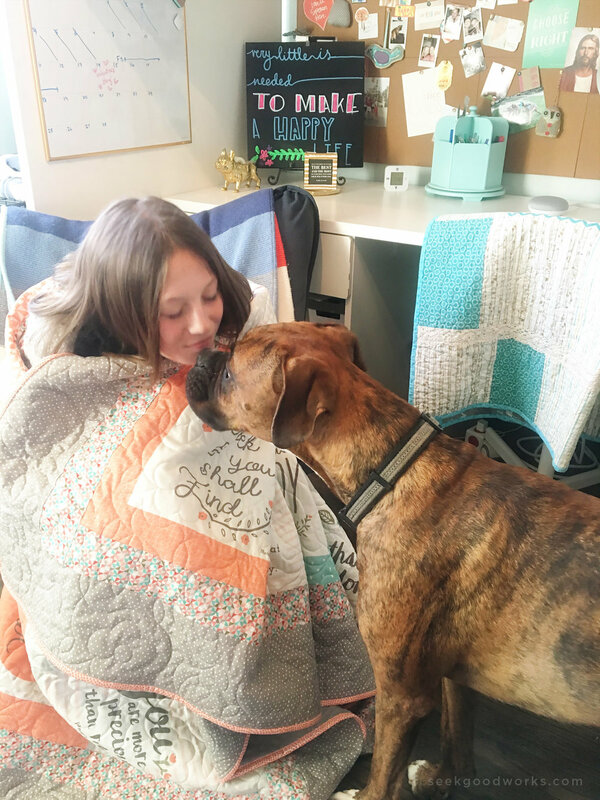 Fun young women value fabric squares along with the "Don't forget your PJ'S" printables make a great project or young women lesson handout. 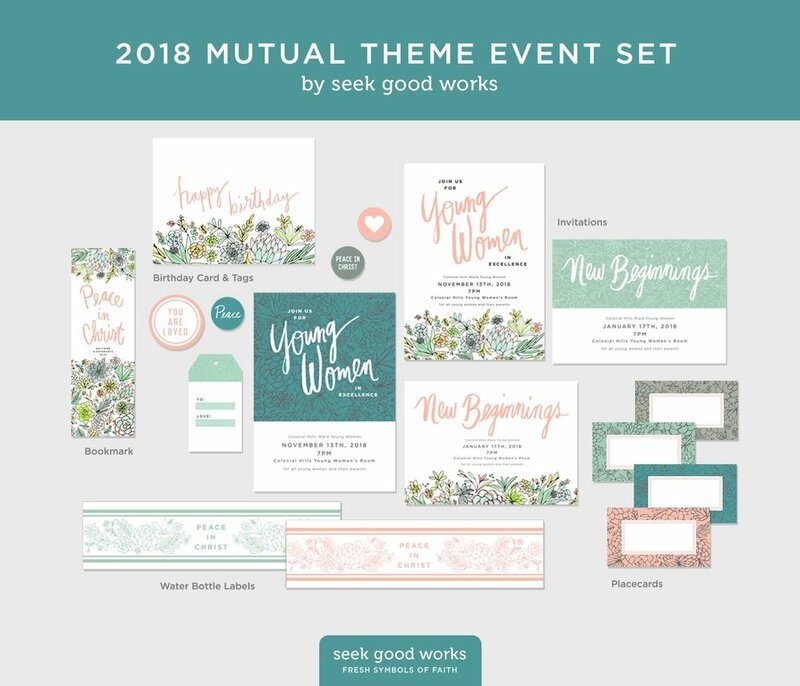 If you know a little about us at Seek Good Works, you know we love making inspiring, love-filled products, and these Heart and Soul Panels might top the list of our favorite labors of love. We designed the fabric line, Heart and Soul to have just that...lots of HEART and lots of SOUL! We also wanted it to be easy for you to make a quilt for a daughter or a friend without too much effort. This panel quilt is gigantic, measuring 56" x 66" and once you add on a border, it can even fit on a twin bed! Kate has been waiting for hers since she was looking over my shoulder as I was designing it, and it's finally done! We added minky on the back, filled it with bamboo lining for a feel of a quilt that's been in the family for ages. This is sure to be a treasure for Kate (and me!) as we wrap ourselves up together for the next "This is Us" episode and as she does the same with her own little family someday. 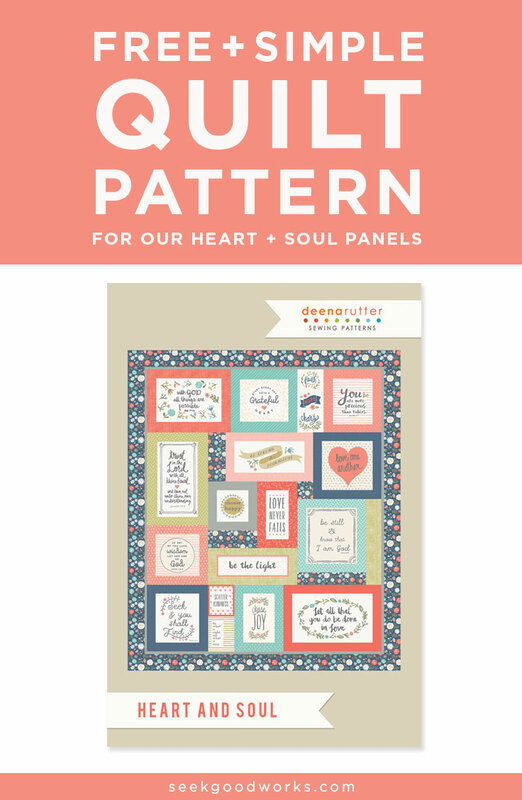 This heart and soul panel makes it easy to have a beautiful keepsake in not much time at all. get your free pattern here. I was so excited when I was asked to be the Young Women's Secretary in my ward, not just because my youngest child and only daughter, Kate just entered Young Women's, but it means I get to work with the girls in my ward and get to know them better. One of my first callings when I first got married was Beehive Advisor. I was young and didn't have kids yet, and I made a printed and handmade quote for the girls EVERY WEEK! Oh my, times have changed. I know most women don't have the extra time to make something from scratch, so that's why me, as well as the other Good Works Girls, have a passion for making our products simple, affordable, and beautiful. The Mutual theme for 2018 is Peace in Christ, taken from the scripture found in Doctrine & Covenants 19:23 "Learn of me and listen to my words, walk in the meekness of my spirit, and you shall have peace in me." 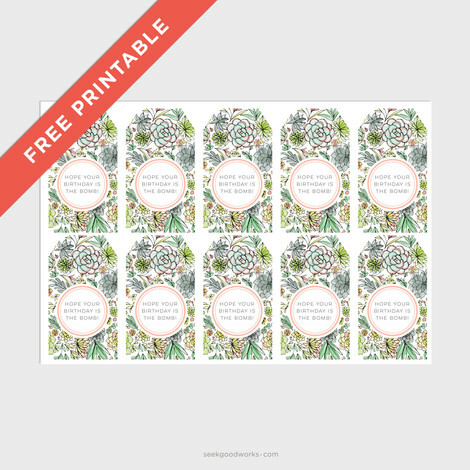 We have made a FREE PRINTABLE set of bookmarks, tags, and stickers for your personal use. This would make a great little gift for the Young Women in your life. We also have additional products that will help make this year in Young Women feel beautiful, special, and just the right amount of coordinated. 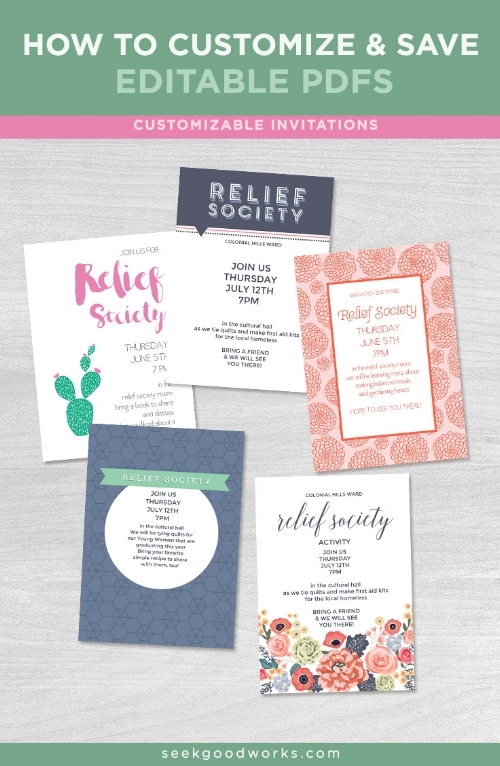 We make it easy to get those invitations printed and delivered, as well as make the event feel special and well thought out. These cutting files are perfect for bulletin boards, and other decorating in the classroom. 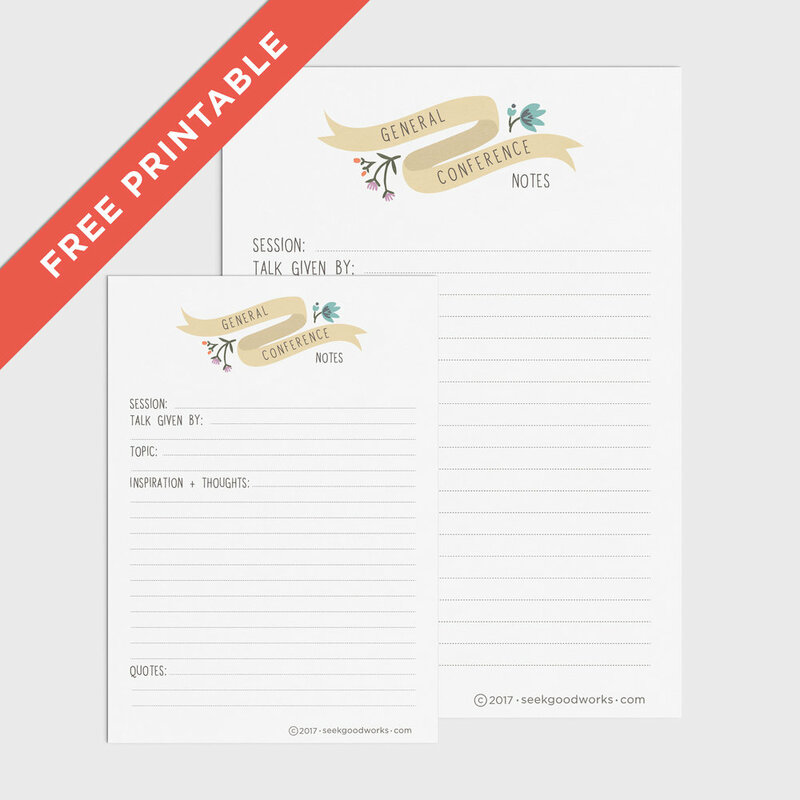 Binder covers, and editable agenda and birthday sheets to keep your organized! Plus, the complete collection comes with files perfect for your local screenprinter to make t-shirt, pillows, and whatever fun thing you can dream up! Yay for the young people of this world! We are grateful for the chance to share our passion with you so you can share it with them. 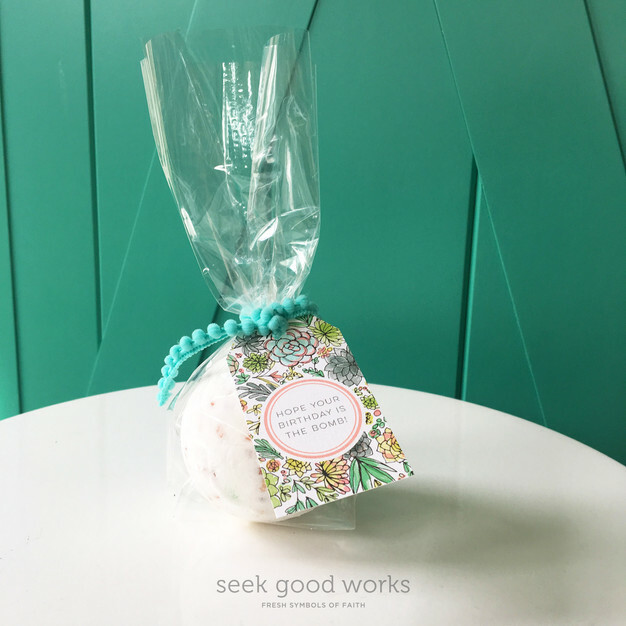 Lift and love your family and friends by sharing this free printable "Seek and You Shall Find". Happy Weekend from the Good Works Girls!